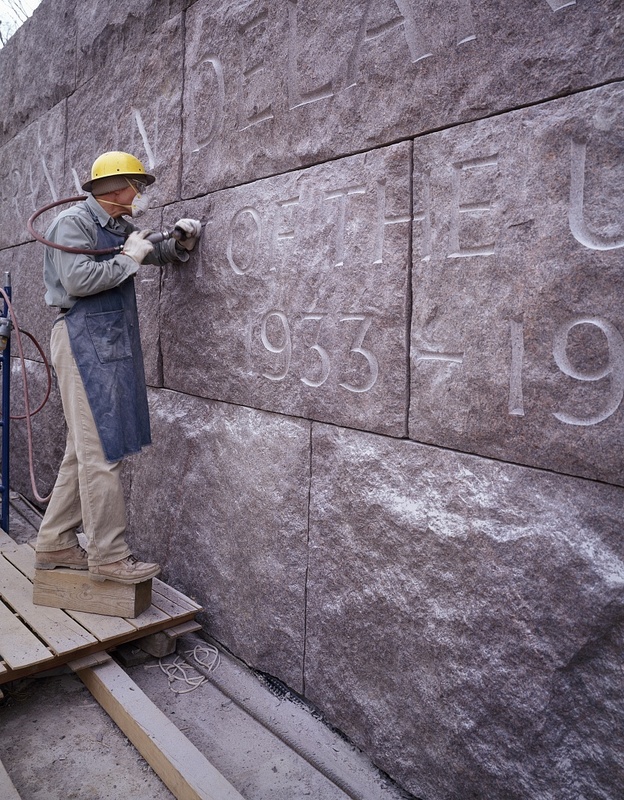 Carol Highsmith, “Carving an inscription at the FDR Memorial,” Histories of the National Mall, accessed April 25, 2019, http://mallhistory.org/items/show/506. The artist in this photograph is carving one of the many inscriptions found in the Franklin Delano Roosevelt Memorial. Calligrapher and stone carver John Benson, designed the layout and typeface of the inscriptions. Each letter was carved and sandblasted into the granite of the memorial.